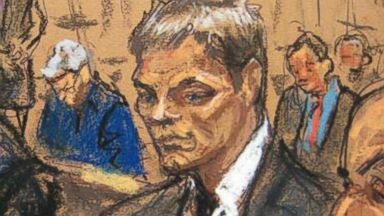 NESN is reporting the famous Tom Brady courtroom sketch has entered the 2016 U.S. Presidential Election race. The Federal Election Commission allows any qualified American citizen to submit his or her candidacy for president. So while big names like Donald Trump and Hillary Clinton have hogged the spotlight, a quick look at the FEC’s complete list of candidates shows several other hopefuls deserve mentioning. Among them: Forrest Gump, Rocky Balboa, Marshawn Lynch (running for the “Peace and Freedom” party) and Tom Brady Sketch. I'm still not convinced that Trump is serious about running, and he's eventually going to come out and say he was just screwing with everyone or that he did it for the paycheck. Between the sketch, Trump, and Deez Nuts, this race has gotten off to a hilarious start. My vote was clearly going to Deez Nuts, but now I might have to reconsider.